This weekend I took a break from crocheting and had some fun with the girls making this cute sponge cake play food. It was a great way to use some of that leftover puffy paint from the 80’s, the sponges were easy enough to find, and we could really get creative with it. 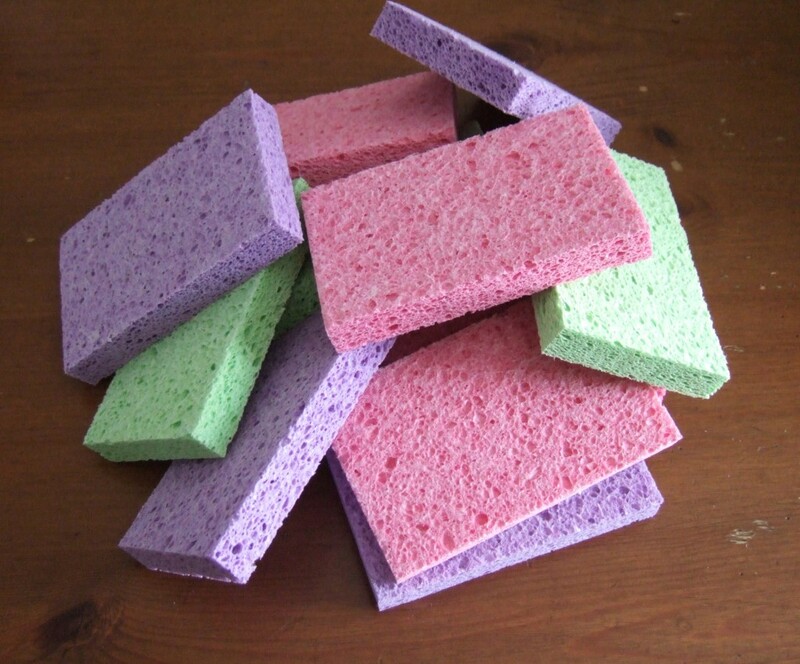 Start with sponges. Any size, any color. 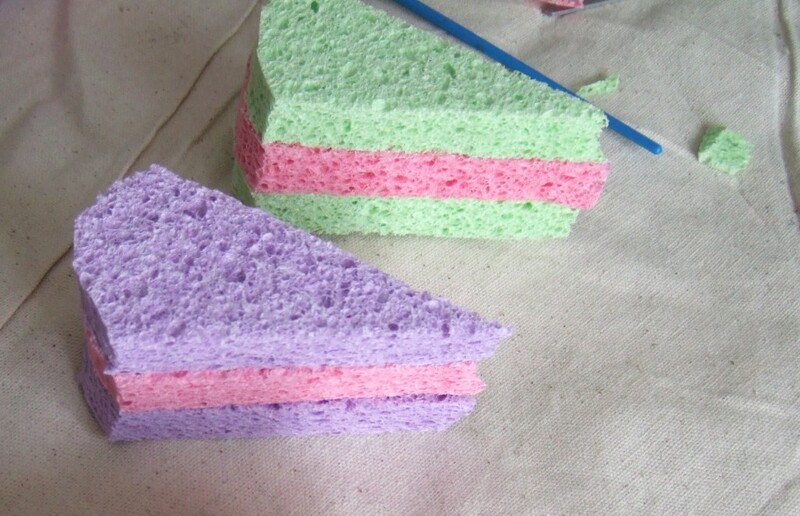 We went with these purple, green and pink rectangle sponges. 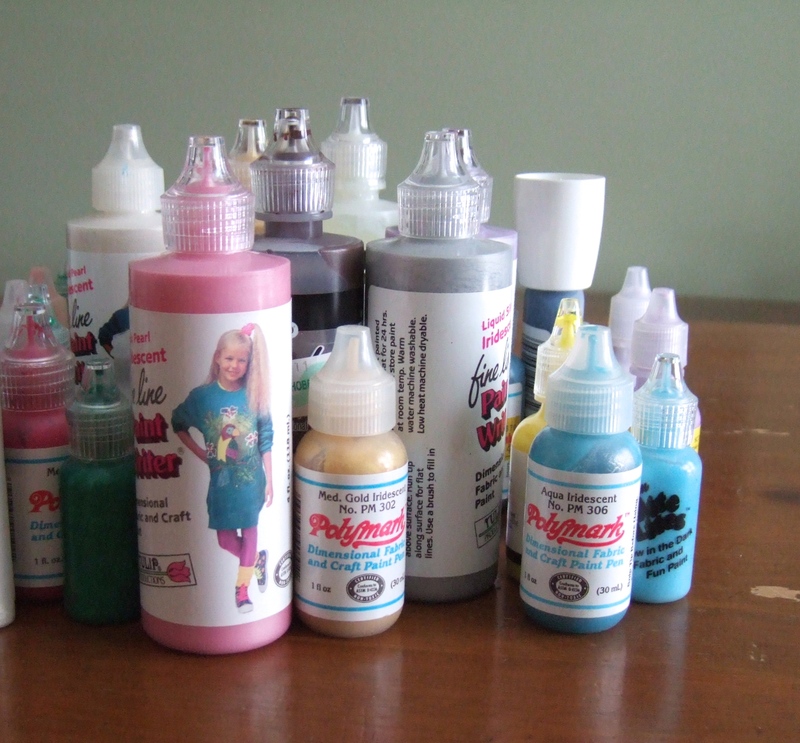 Since we didn’t need too much puffy paint, we borrowed some from my sweet neighbor Allison. She has been collecting this paint since the late 80s (notice the radical top ponytail and over sized sweater/leggings combo). 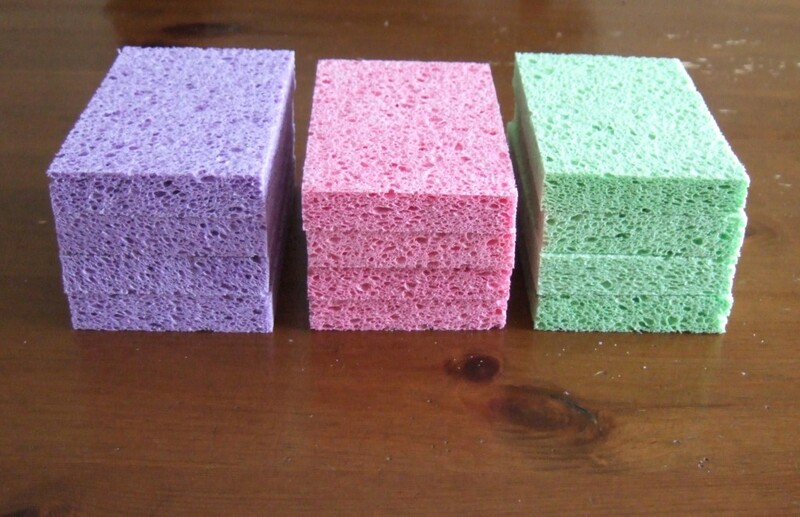 We cut each sponge diagonally. Then we trimmed the edges to make them look like a slice of round cake. 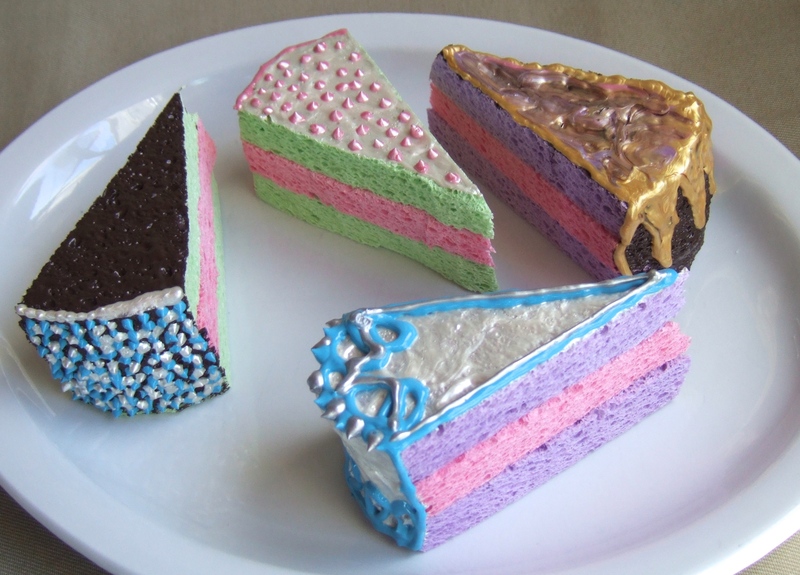 Next, we hot glued each layer of sponge together. Finally, we got to painting! When icing the cakes we found it was easier to get a thick frosting look by using a brush. We waited a bit for the first layer to dry then added decoration. 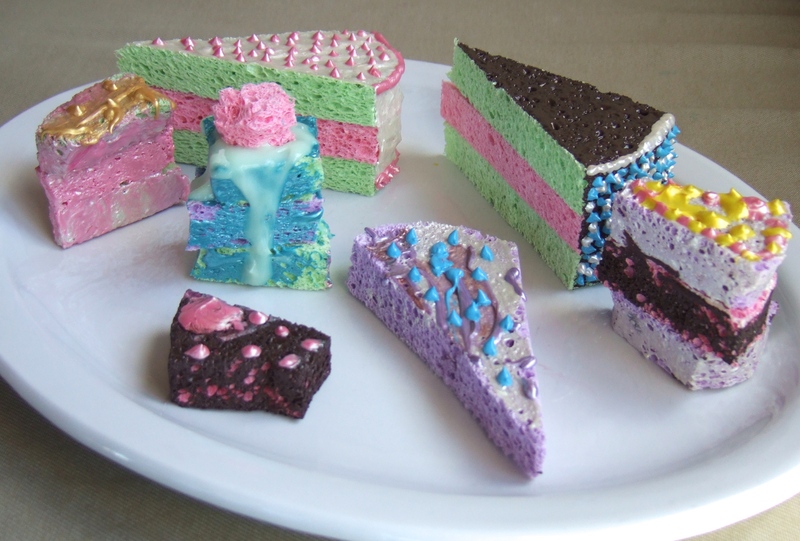 The girls had a blast with this sponge cake play food project, but it made us totally hungry for cake! 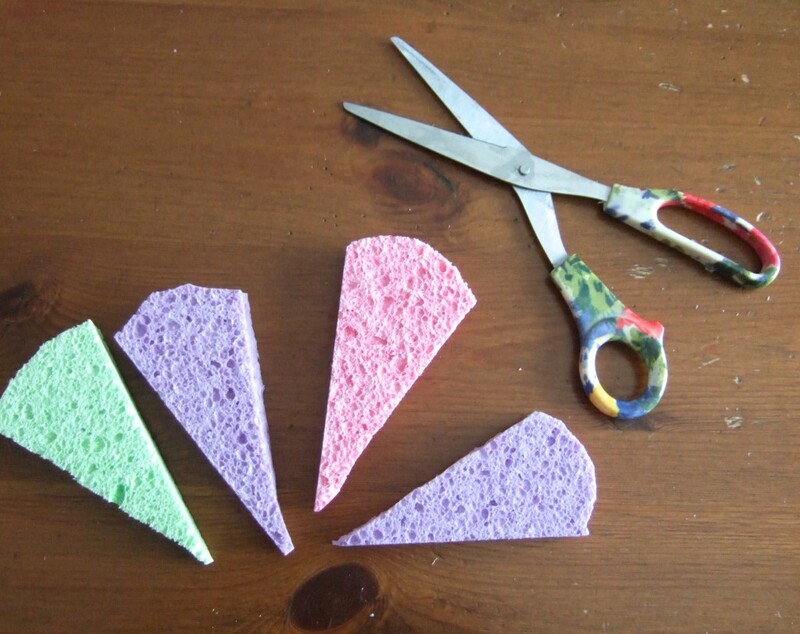 Cut each sponge into the shape you’d like; square, diagonal, etc. Trimmed the edges to make them look like a slice of cake. 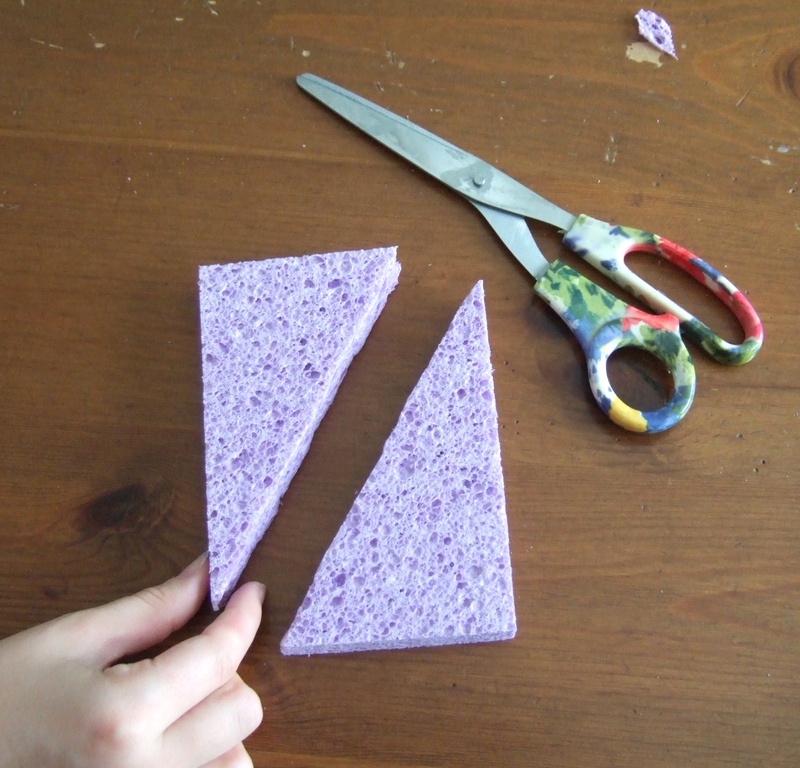 Hot glue each layer of sponge together. Dottie Quick is a participant in the Amazon Services LLC Associates Program, an affiliate advertising program designed to provide a means for sites to earn advertising fees by advertising and linking to Amazon.com. This entry was posted in Craft Tutorials. Bookmark the permalink.